Fall is quickly approaching and with it the temperature begins to drop and so do the leaves. 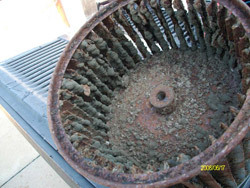 If you have neglected your air conditioner maintenance last spring, don’t wait any longer for more debris to collect in you outdoor units. The fins are likely filled with dust and debris from the year and you want your A/C running well in this area because the reality is we may get one or two days where we actually need our heaters. Still when we come out to service your air conditioning systems we can take a look at your heating as well to make sure that it is running efficiently before the season begins. The last thing you want to have happen to you is to discover that your system is not working (at the same time as thousands of other homeowners realize theirs are not working too). Get an edge on the upcoming season and contact the professionals at Air Systems Texas. 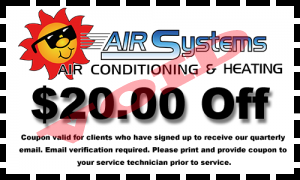 Air Systems Texas technicians are licensed and experienced in all facets of AC & Heating maintenance, repair, and installations. Air Systems Texas proudly serves the Friendswood area and surrounding areas with the best quality service in our industry.